Stocks edged higher on Wall Street, erasing the markets modest losses from a day earlier. Citigroup rose 2.9 and JPMorgan Chase climbed 1.1, but UnitedHealth Group sank 4. Chipmaker Qualcomm soared 23 in heavy trading after announcing that it had settled its longstanding legal dispute with Apple. The S&P 500 index edged up 1 point, or 0.1, to 2,907. 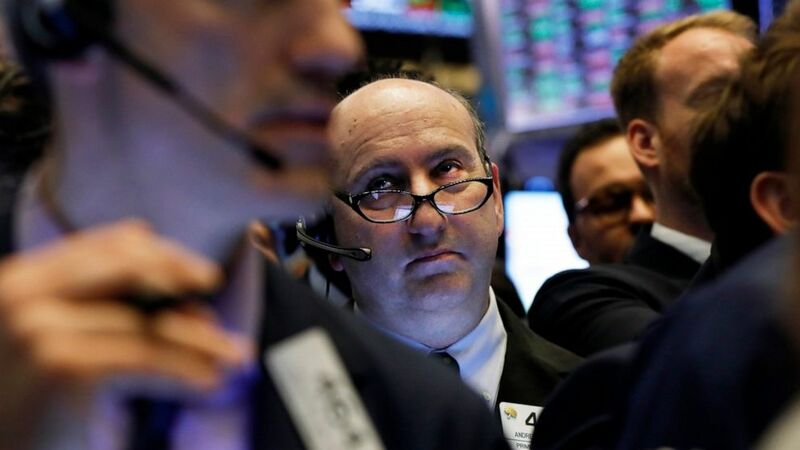 The Dow Jones Industrial Average added 67 points, or 0.3, to 26,452. The Nasdaq rose 24 points, or 0.3, to 8,000. Bond prices fell. The yield on the 10-year Treasury rose to 2.59. Stocks are higher on Wall Street in midday trading, erasing the markets modest losses from a day earlier. The S&P 500 index rose 3 points, or 0.1, to 2,908. The Dow Jones Industrial Average rose 55 points, or 0.2, to 26,441. The Nasdaq rose 25 points, or 0.3, to 8,001. UnitedHealth Group, the nations largest health insurance company, rose 1.3 early Tuesday after beating first-quarter earnings forecasts and raising its estimates for the full year. Other health care sector companies also rose. Abbot Laboratories rose 1.5 and Johnson & Johnson added 2.5. The S&P 500 index rose 8 points, or 0.3, to 2,914. The Dow Jones Industrial Average rose 110 points, or 0.4, to 26,492. The Nasdaq rose 28 points, or 0.4, to 8,004.